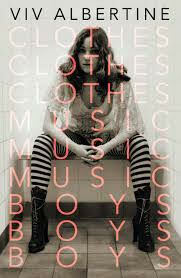 All of us in the Festival Covers Bandlove to read, but this month we were especially captivated by this book, describing Viv Albertine's journey through life as a female musician. We absolutely loved reading about the experiences she had and other bands she grew up with. She describes very honestly the ups and downs of a creative life and it was very inspiring. We couldn't put it down! So for those girls after our own hearts...get reading!